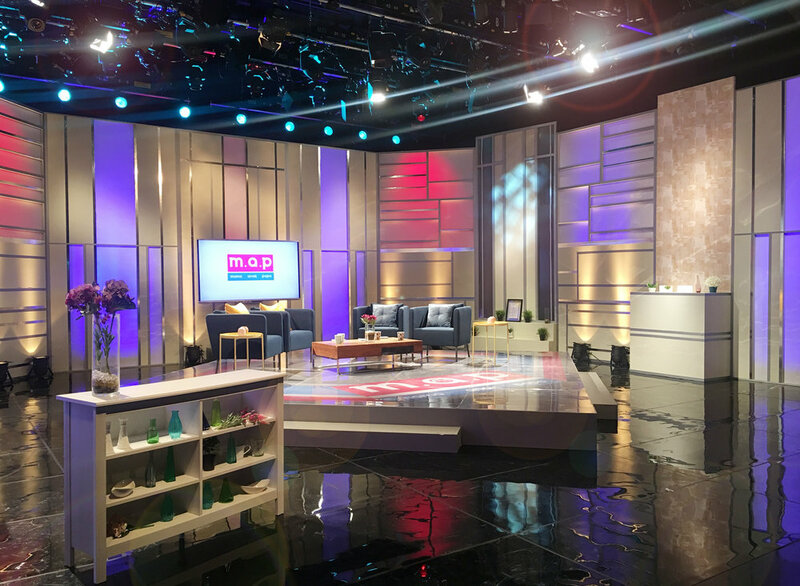 Did you know that there is a broadcast studio located in the basement of Mediacorp Campus? Studio 4, a boutique size studio, is ideal for a range of cosy talk shows, infotainment programmes, and even a small scale game show. Accessible only via basement car park, the studio is like the hidden gem of Mediacorp Campus. 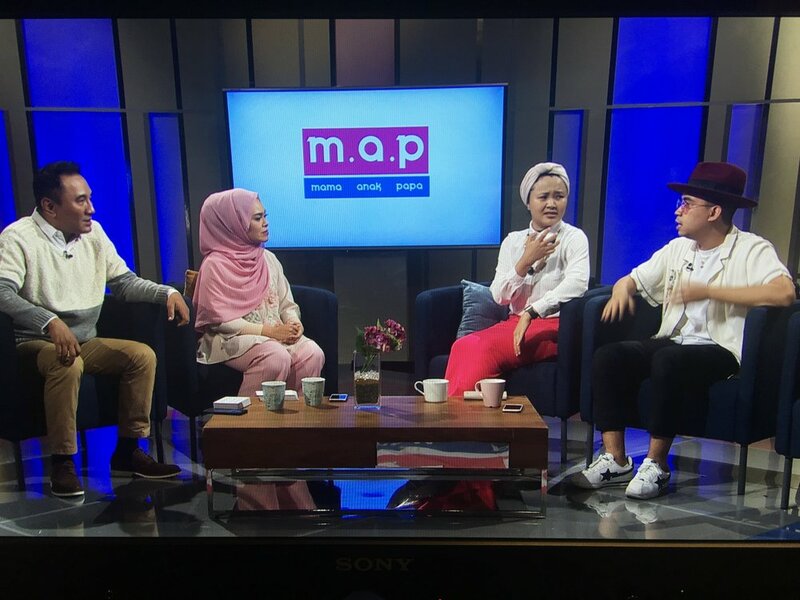 Currently, Studio 4 is supporting two ongoing productions; ‘Voices’ on Channel U and ‘M.A.P.’ on Suria. In order to switch between sets effectively, the Set Design team has designed and fabricated ten movable metal frames with storm lights which can suit a variety of programmes. For example, the metal frames can be arranged to form the cage setting as seen in ‘Voices’, and further rearranged to be a support for the backdrop in ‘M.A.P’. These individual panels are therefore, incredibly versatile, and thus the layout can be reconfigured within the shortest amount of time. They have indeed allowed us to switch between the two sets within a matter of hours. Studio 4 is acoustically sound proof and equipped with the latest broadcast facilities in Audio, Lighting and Video. The control room has a clean, straight layout incorporating audio, vision, lighting and camera control providing a clear line of sight and communication between the units. For more information on Studio booking, please click here.